Greek state budget recorded a primary surplus of 1.936 billion euros in the January-June period from a primary surplus of 1.632 billion in the same period last year and a budget target for a surplus of 431 million euros. 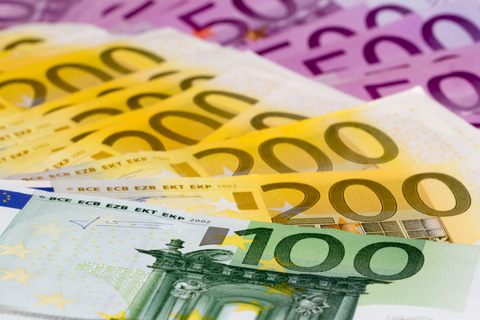 The general government?s deficit was 1.596 billion euros in the first half from a shortfall of 1.852 billion last year and a budget target for a deficit of 3.092 billion euros. State budget net revenue was 22.175 billion euros, up 0.2 pct from targets, while regular budget net revenue was 21.338 billion euros, up 0.3 pct from targets in the six-month period. Budget execution figures showed that corporate income tax revenue surpassed targets by 95.2 pct, property tax revenue were up 15.5 pct, car registration fees were up 18.5 pct and special energy tax revenue was up 1.2 pct. On the other hand, individual income tax revenue was down 3.7 pct in the January-June period, other direct tax revenue was down 2.0 pct, special consumption tax revenue fell short 4.6 pct and privatization proceeds were down 26.3 pct. Tax returns totaled 1.842 billion euros, up 133 million from targets, while Public Investment Programme revenue was 836 million euros, down 22 million from targets. State budget spending in the January-June period was 23.771 billion euros, down 1.443 billion from targets, while regular budget spending was 22.863 billion euros, down 1.149 billion from targets. Regular budget spending was down 757 million euros compared with the same period in 2016. Public Investment Programme spending totaled 908 million euros, down 294 million from targets. In June, budget revenue was 3.493 billion euros, up 54 million from monthly targets, while regular budget revenue was 3.424 billion euros, up 79 million from targets. Budget spending was 3.847 billion euros in June, down 428 million from monthly targets, while regular budget spending was 3.694 billion euros down 361 million from targets.